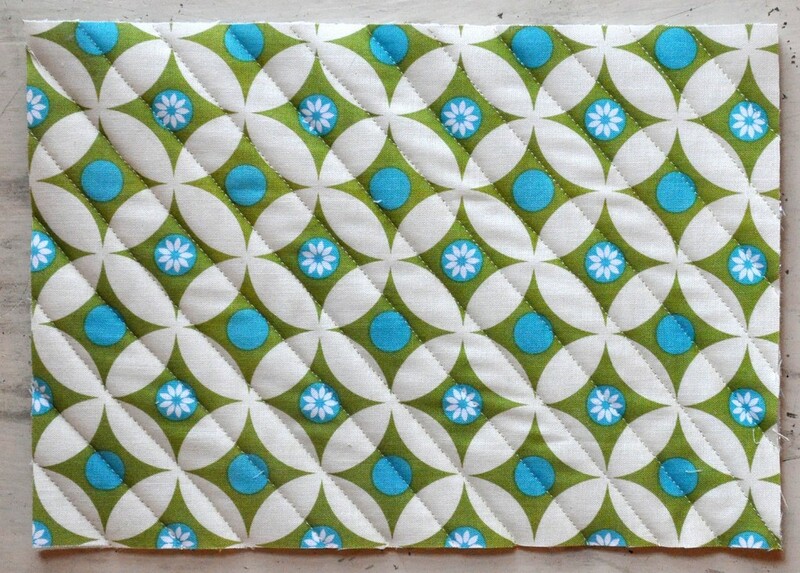 I tell ya- I cannot believe how popular my previous potholder tutorial has been! People must really need potholders!! 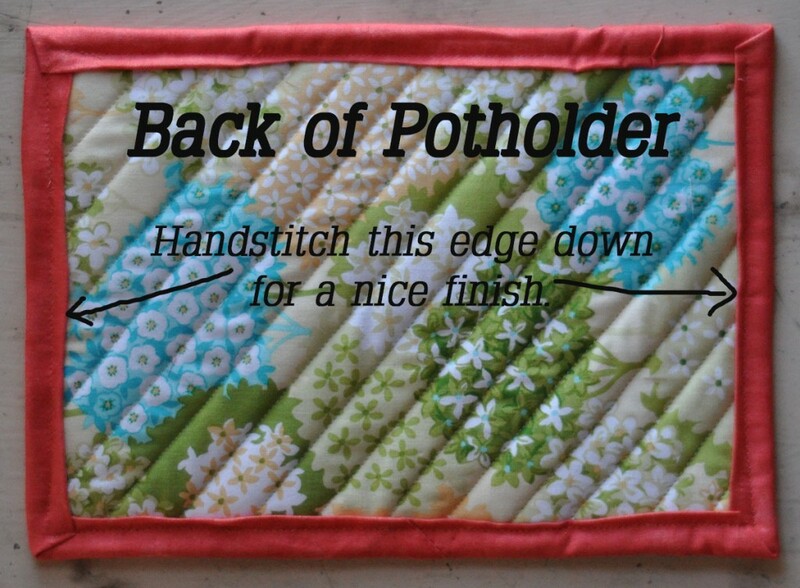 Of course, potholders are fun, quick to make, and they are a really nice little gift. 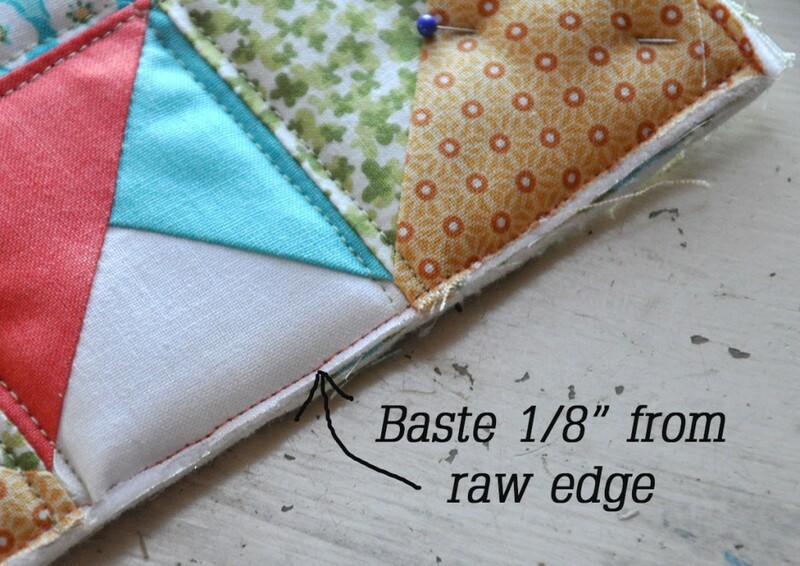 You can make someone a super-cute and useful gift in no time at all, plus they’re great for using your scraps. 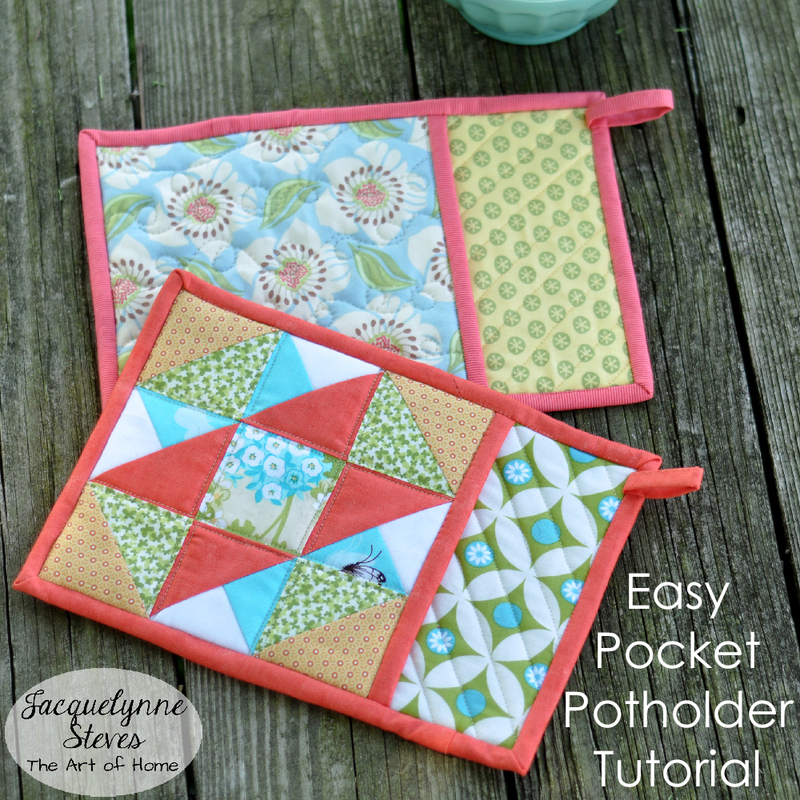 Sooooooo….. here is a different pocket potholder tutorial for you. This one is nice and big and it has a pocket, so you can fit your hand inside and easily grip hot-stuff. …and now, on to today’s tutorial…..
1 1/2” x 4 1/2” piece for loop. Batting- 2 pieces. (7 1/4” x 10 1/2” AND a 7 1/4” square). 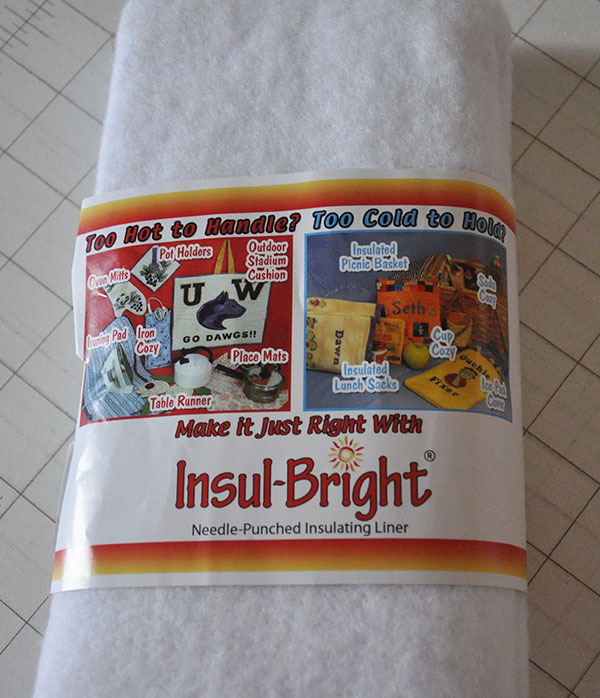 For making pot holders, I recommend using Insul-Bright. Place the White and Blue squares RIGHT sides together. Draw a line diagonally down the center, then draw a line 1/4” from center line on each side. Pin together. 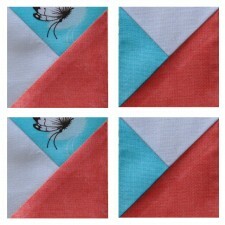 Sew on the “side lines,” then cut on center line. You will have 2 White/Blue HSTs. Press the seams toward the Blue. Place a Yellow square and a Green square RIGHT sides together. Repeat with remaining Yellow and Green squares. Following the same method we used with the White and Blue squares we used above, make 4 HSTs like this (press seams toward Yellow). 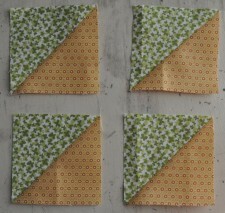 Trim the Yellow/Green HSTs to 2 3/4”. Your block will be about 7 1/4” unfinished size. 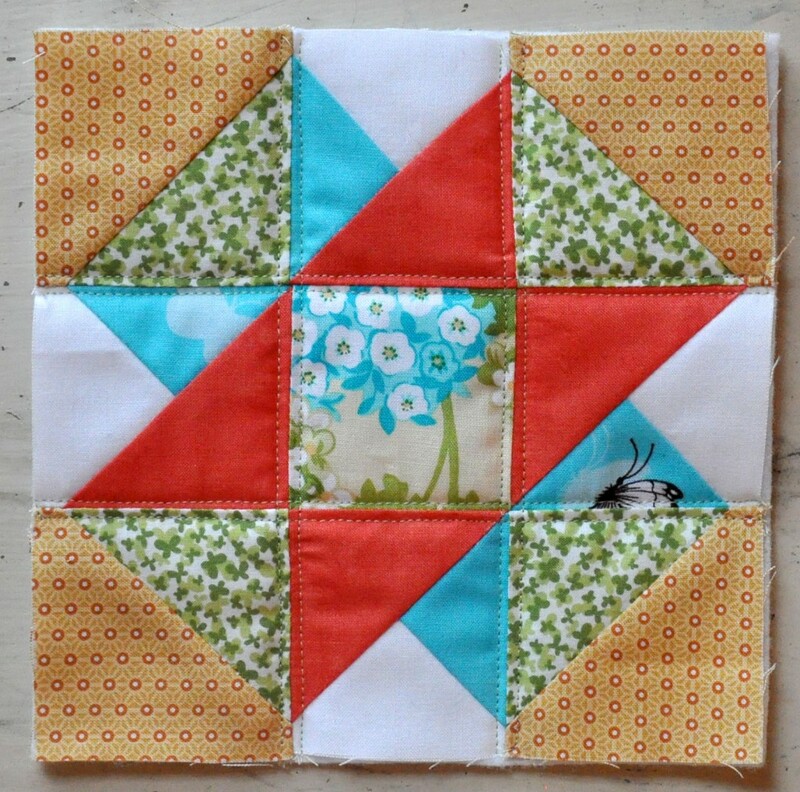 Make a square “sandwich” – Place Fabric B (lining) RIGHT SIDE DOWN on table. 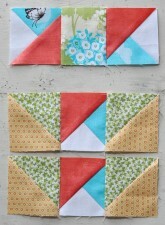 Top with square piece of batting, then place Fabric A (quilt block OR square piece of fabric) on top, RIGHT SIDE UP. Pin or spray baste the layers together. 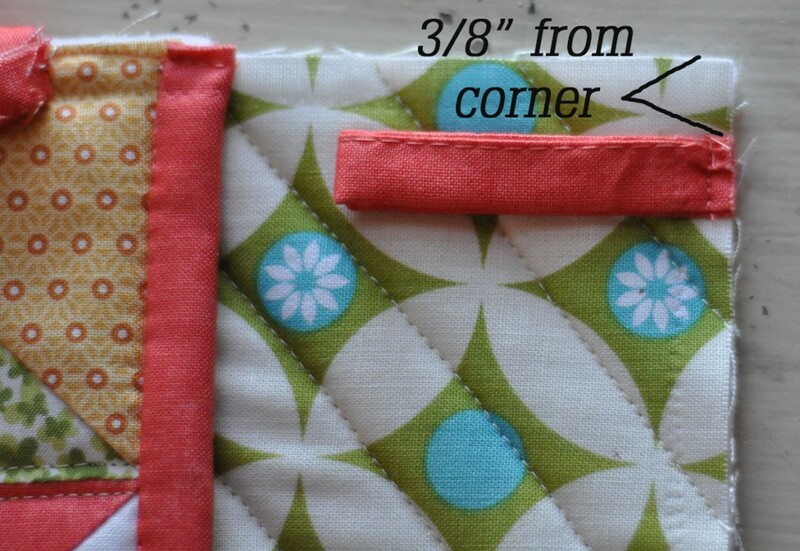 Make a rectangular “sandwich”- Place Fabric D RIGHT SIDE DOWN on table. 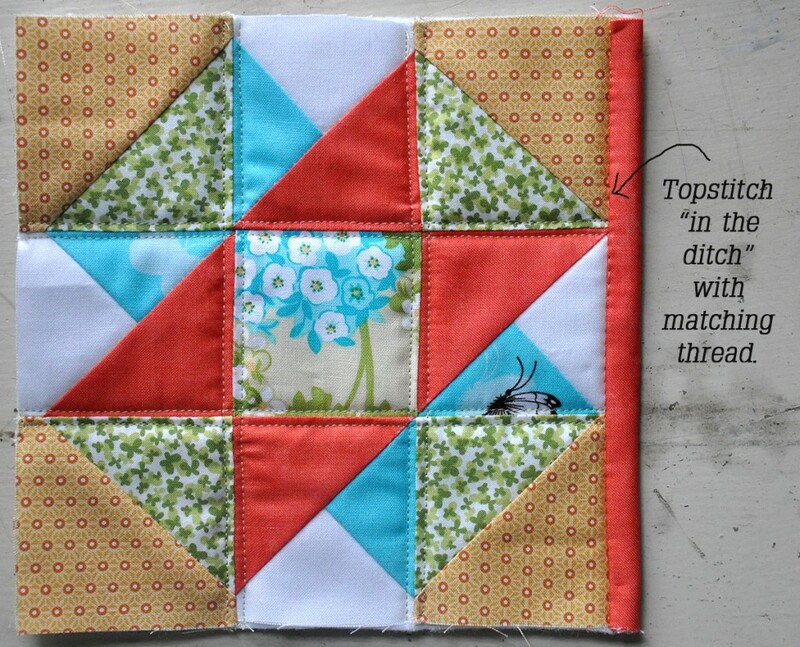 Top with rectangle piece of batting, then place Fabric C on top, RIGHT SIDE UP. Pin or spray baste the layers together. 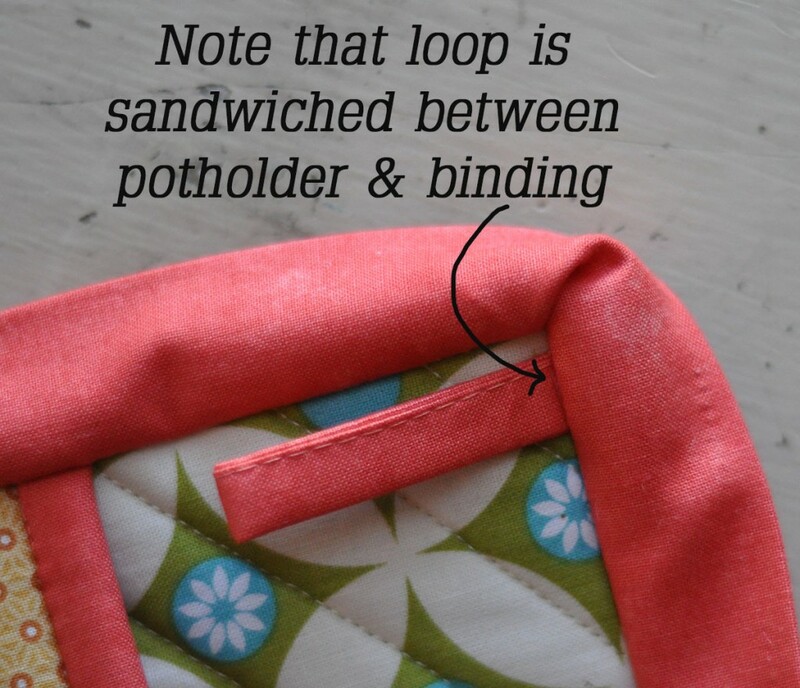 Now we will quilt each “sandwich.” You need to do this to be sure that the layers stay together throughout machine washing (potholders tend to get dirty!!) You can free motion quilt them, or you can just sew some lines on them about 1 to 1 1/2” apart (a walking foot on your machine is good for this. You can either draw the lines on with a washout marker or chalk, or just “eyeball” it.) 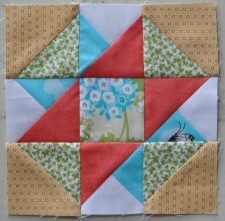 For my quilt block, I just sewed about 1/8” on either side of the seams. For the simple potholder, I did free-motion loops. For both of the potholders, I sewed diagonal lines on the rectangle sandwich using my walking foot. Make the binding- Fold and press the binding strip in half lengthwise RIGHT SIDES OUT. Cut a strip of binding 7” long (or whatever the width of your quilted square is.). 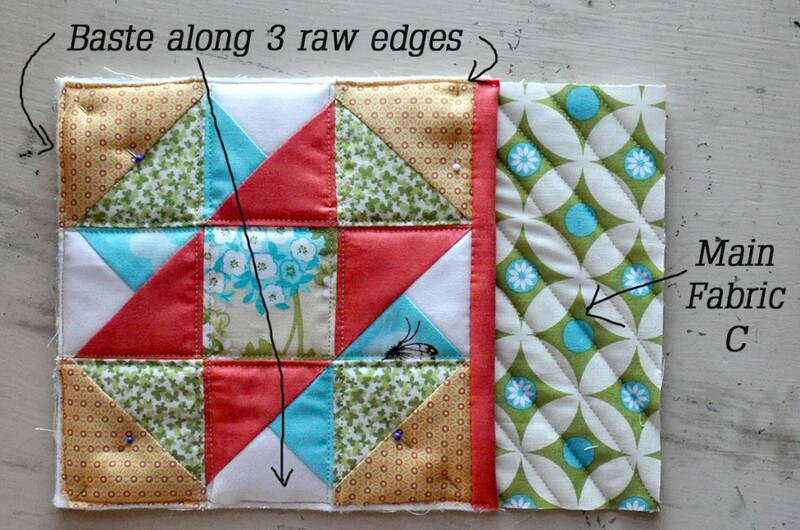 Pin the raw edge of the binding so that it is aligned with one raw edge of the quilted square. Sew. Press the binding away from the square. 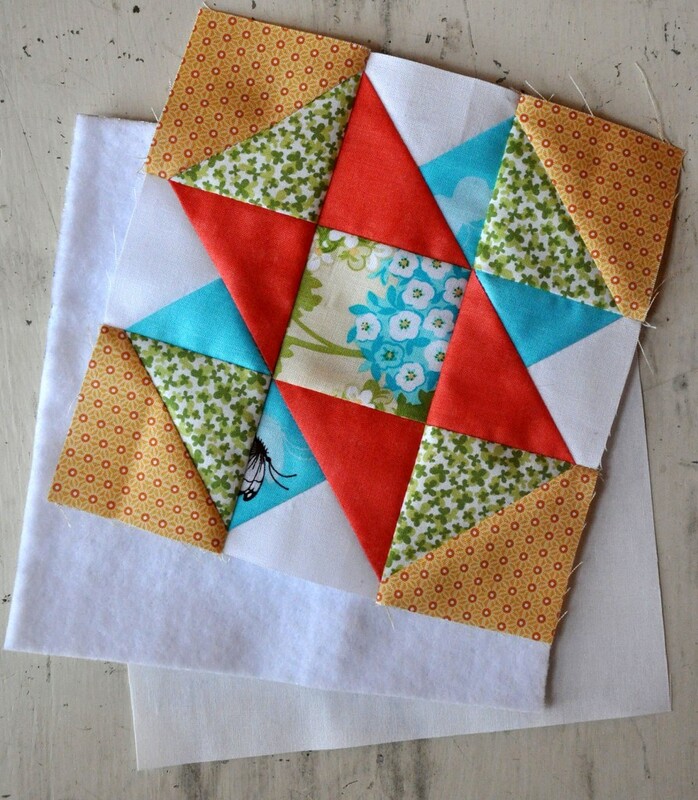 Fold it to back of square and pin in place. Topstitch right “in the ditch” of your seam. Baste on the loop 1/8” from raw edge, about 3/8” from corner. 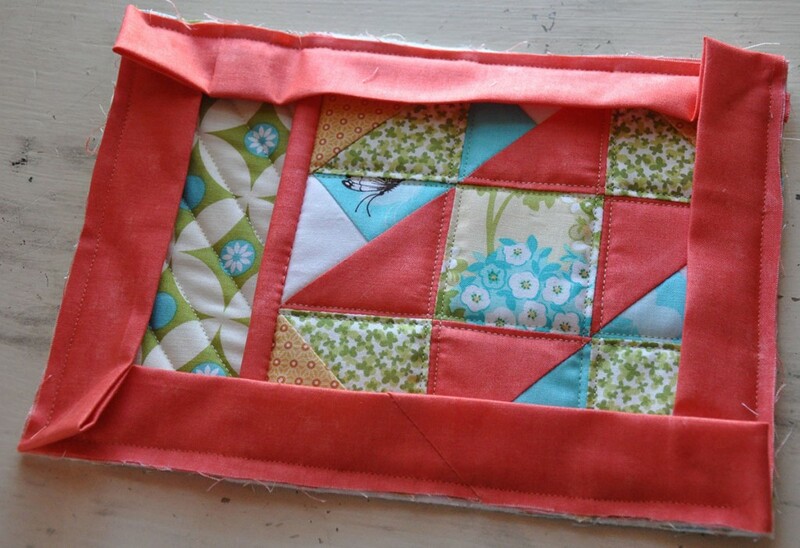 Pin and sew the binding strip all around the edges of the potholder. 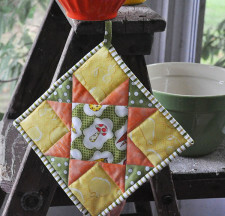 Your potholder is done! Isn’t it the prettiest potholder you’ve ever seen??? These potholders are so cute. Thanks for sharing. could you send me the pattern for you pocket pot holder I really like it. 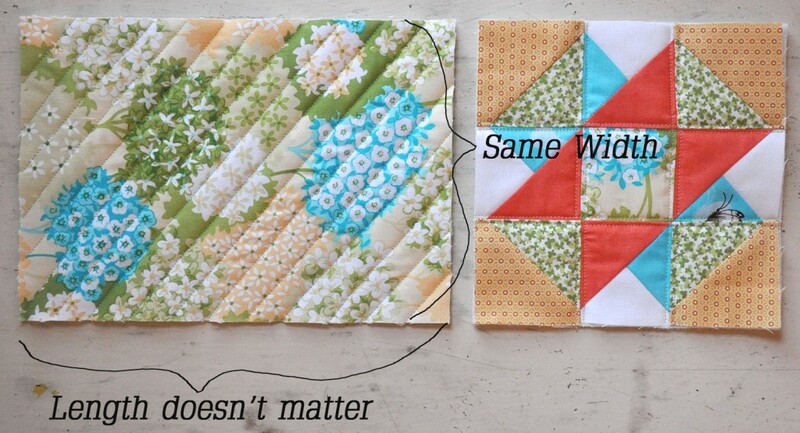 This is perfect for orphan or practice blocks! and a great scrap buster. Thank you! Thank you so much! I am really enjoying your blog!! I think this a real cute project and it looks so easy. Thanks. This is great, I love anything that helps me use up my scraps and is still useful. Thanks so much!! 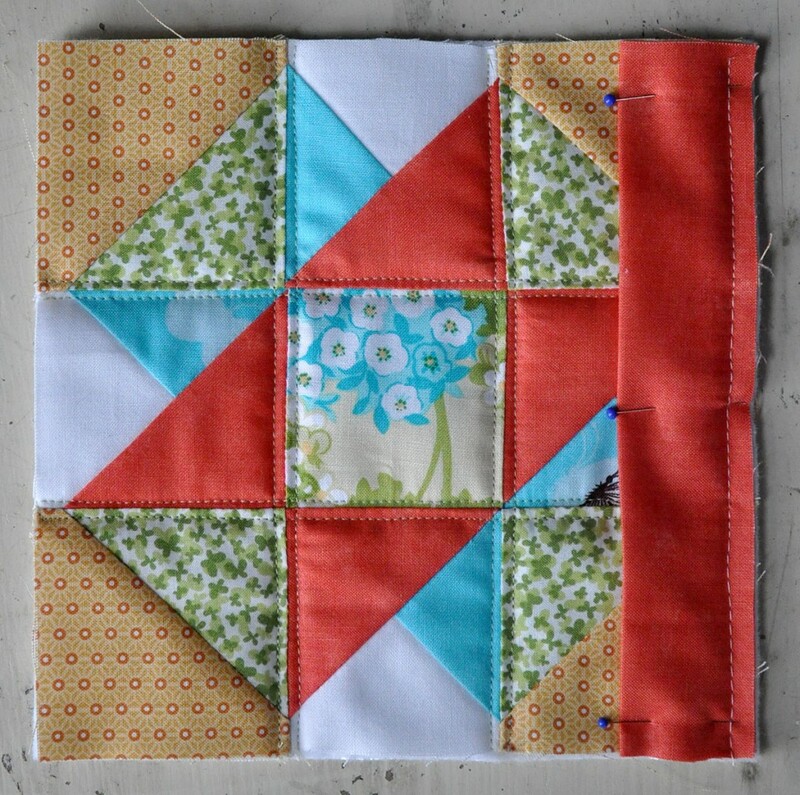 Thanks for the potholder pattern and tutorial. I have made three of your previous potholder and gave two away but kept the one for myself that was made out of your fabric. I think we tend to hang onto our potholders longer than we should and so having an easy pattern to make new ones in fabric we love becomes the inspiration to replace them. Christmas IS right around the corner and I am making potholders and place mats for all my friends! 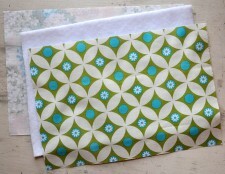 Will you please make a placemat tutorial, too? As ALWAYS be blessed!! It would make a very nice Christmas gift! Your projects are delightful and I love them all Thank you for sharing so many. Thanks for sharing! They are so cute and your instructions so Great. Have a great Holiday.